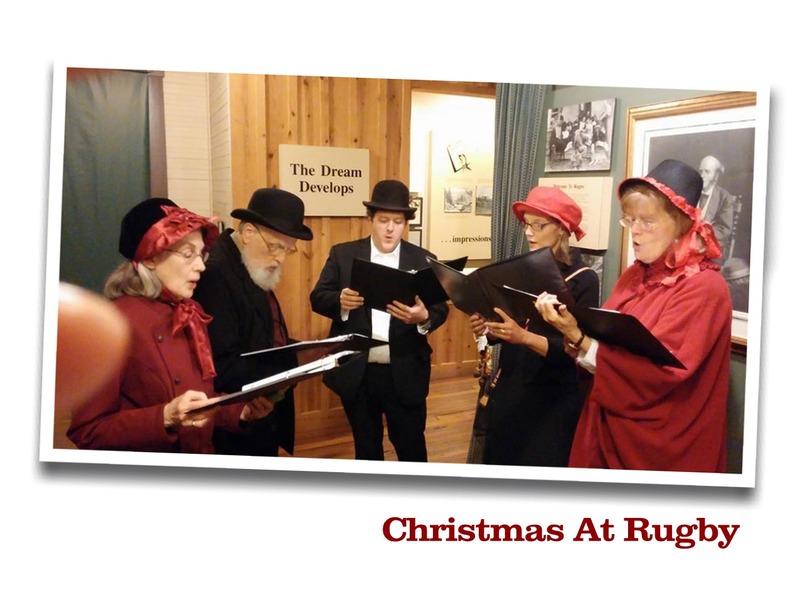 On the first two Saturdays in December, the historic settlement of Rugby, Tennessee, will come alive with Christmas spirit and celebrate the holidays as if it were still 1880, the year the town was settled. The living Victorian-era village will bustle with caroling, holiday shopping and much more. Highlights of the Victorian Christmas celebration include holiday music, hot drinks and cookies in the decorated historic buildings, a visit from Father Christmas and the sounds of carolers performing throughout the village. In addition, Christ Church Episcopal will present a seasonal worship service with an emphasis on music both Saturdays at 4:30 p.m. EST (3:30 Central) in the 1887 church. Admission is $10 for adults, $6 for Historic Rugby members, and $4 for children K-12. Book your tickets now at the Online Store. The Harrow Road Café will host its traditional Christmas Dinner on both Saturdays. Dinner is $30 per person. Reservations are required.